This 3 bedroom 2 bath ranch is conveniently located in one of Louisville's most desirable neighborhoods of Douglass Hills. Upon approaching the home you will walk through a walled in court yard with Iron Gate. Inside there is some wonderful entertaining space. The den has a wood burning fireplace with a gas starter. Off the den there is a sliding glass door that opens into a glass enclosed porch that can be used year round. The eat-in kitchen also has access to the porch and a pass through window to the den. The master bath area has a stand up shower and a walk-in closet. The other two bedrooms are nice sized and have double closets. The basement is unfinished but has some rooms partitioned off and ready for you to finish. Douglass Hills is a subdivision within the city of Louisville, Kentucky. There are currently 2 Homes for Sale within Douglass Hills, with asking prices ranging from $269,900 to $289,900. The average list price per square foot of the available inventory in Douglass Hills is $119, which is below the Louisville average of $157. The Average Sales price of all sold real estate in this subdivision for the past year is $259,881. Recent comparable homes have been selling for 97.93% of their asking price. Waterfront homes represent 50.00% of the available Douglass Hills inventory. The population of Louisville, according to the 2010 Census, is 597,337. The total number of households in the zip code of Douglass Hills is 4,595, with an average household size for of 2.20 people. The total number of renter households within the zip code of 40243 is 1,328, which means that 71.10% of households in this zipcode are owner occupant households. 307 Bromwick Ct, Louisville KY 40243 is a Home, with 3 bedrooms which is recently sold, it has 1,991 sqft, 0 sized lot, and 2 Car Garage,Attached,Entry Side parking. A comparable Home, has 3 bedrooms and 2.5 baths, it was built in and is located at 426 Whiteheath Ln Louisville KY 40243 and for sale by its owner at $ 269,900. 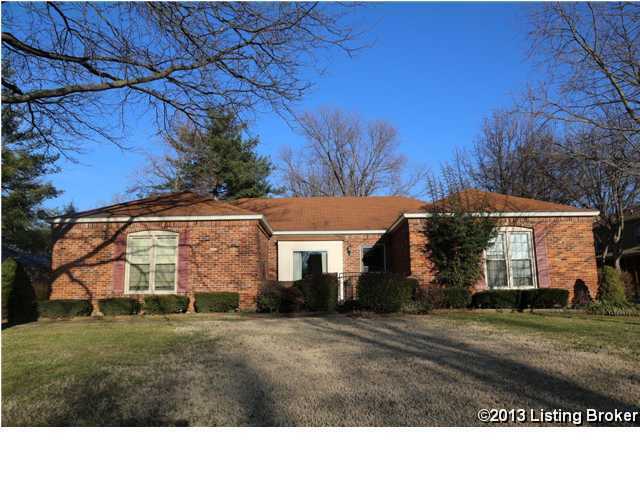 This home is located in the city of Louisville , in zip code 40243, this Jefferson County Home, it is in the DOUGLASS HILLS Subdivision, and Douglass Hills are nearby neighborhoods.